When you work hard for your vacations, you want to make sure that every dollar is spent wisely. Although no vacation will ever be completely free, you’ll be happy to hear that there are quite a few fabulous countries where your dollar goes pretty far. Not only will these places make you feel great about getting a good deal, but you’ll feel great knowing that tourism significantly boosts the economy of these (sometimes struggling) countries. To get the best bang for your buck, take a look at these fabulous destinations that offer the best value. 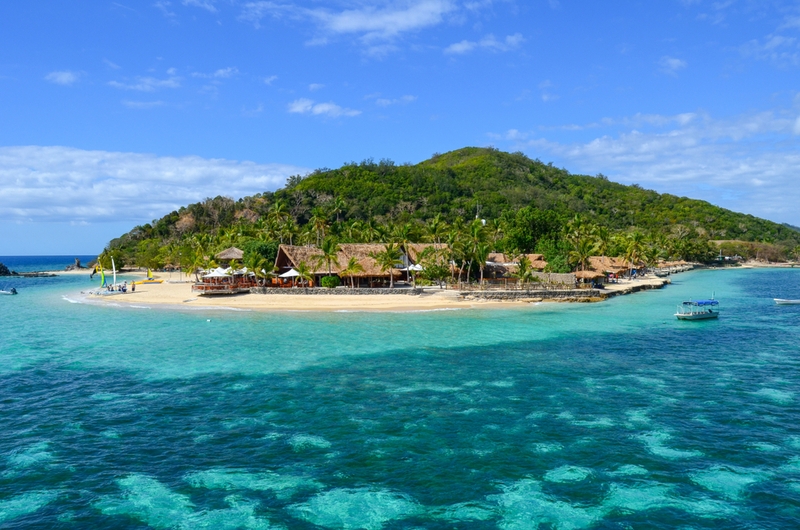 Believe it or not, Fiji is quite affordable if you can score cheap airfare. Once you’re there, nearly everything is a breeze. You’ll easily find 3 and 4-star hotels that are luxurious and affordable. You’ll also be able to splurge on restaurants that will fill you up without emptying your wallet. You want to feed monkeys, hike towering mountains, meander through jungles and snap pictures of epic waterfalls, but experiences like those cost a fortune, right? It doesn’t have to when you’re exploring Nepal. You can do all those things and more on a shoestring budget while helping to boost the local economy. This gem of a country in Southeast Asia offers much of what vacationers are looking for at a fraction of the price. You can spend time sunning yourself on one of Vietnam’s magnificent beaches, soak up some history in Hanoi or Ho Chi Minh City and enjoy lunch for only a couple of dollars (including beer)! The country is rich in history and culture, and you’ll an incredible experience at a low cost. If you love the beautiful mountain views of Austria, but don’t want to spend a small fortune, check out the picture-perfect Slovenia. This country offers so much for so little: swim in the Adriatic Sea, ski down the Julian Alps, hike in Triglav National Park or simply revel in the fact that all of this beauty is half the cost of a trip to France. Too good to be true? Check again. If you have the Caribbean on your mind, you’ll find the best value in our fellow US territory: Puerto Rico. Flights are inexpensive from most of North America, and you can usually find economical lodging options that will help make your tropical escape a reality. Who says you have to go far from home? Animal lovers, it’s time to book a flight to South Africa! The U.S. dollar can go quite far in South Africa these days. This bucket-list worthy destination has an abundance of once-in-a-lifetime experiences that can be enjoyed on a budget. You can cut even more expenses from these activities if you visit off-season in the months of May-July. Summer vacation, anyone? The beauty of Argentina is so appealing that we’d recommend a visit to this country regardless of the price. Luckily, you can spend a week in Argentina without breaking the bank. The exchange rate works in favor of the American dollar, and most of the natural attractions are free. Don’t forget to bring your camera to capture the Iguazu Falls and Ushuaia glaciers. Despite being a bustling tourist destination, Thailand is still one of the most cost-efficient destinations out there. Hotels, transportation, and food are very inexpensive (even in the heart of Bangkok). Activities, such as feeding elephants in elephant sanctuaries and zip-lining through the jungles are also affordable. Want to sprawl out on the beach, sipping out of a coconut? Just book a flight.